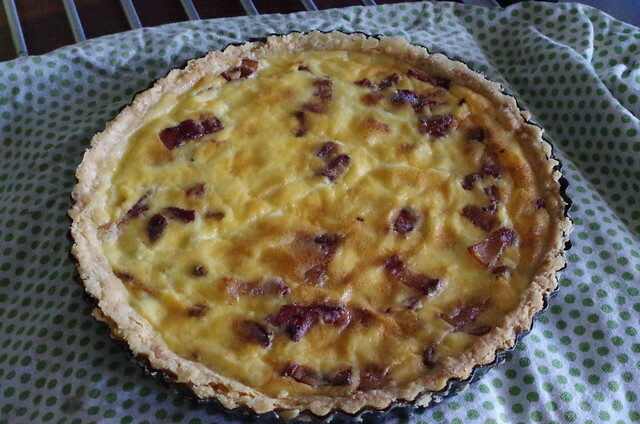 Frittata, a photo by La belle dame sans souci on Flickr. 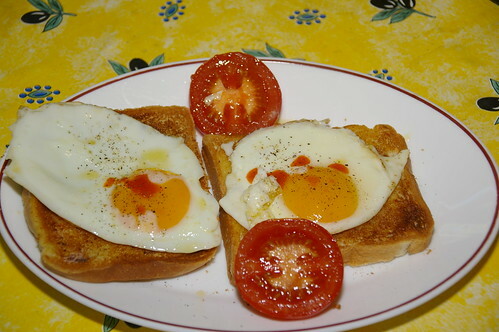 I really wanted a simple breakfast today and eggs on toast was just about right. I have been working away from home all week in Denmark, where the hotel breakfast options are either breads of various kinds (all pretty excellent examples of the baker’s art, I can report) with jams (also pretty nice), cereals or a Danish take on a cooked breakfast, which is probably less successful, so I wanted eggs on toast with mugs of strong tea. 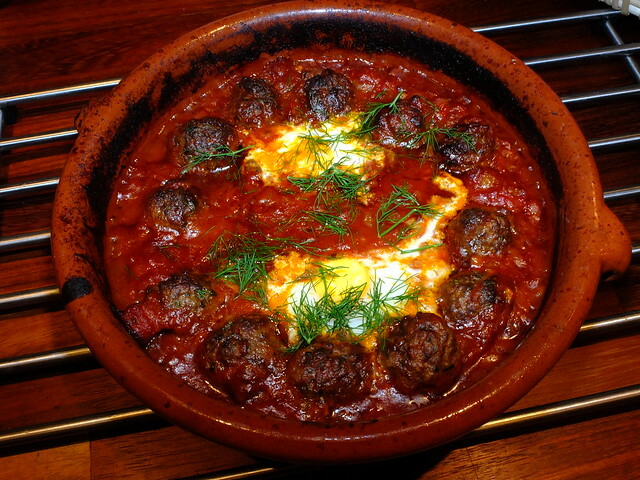 The tomato was my concession to healthy eating, one of my 5-a-day. 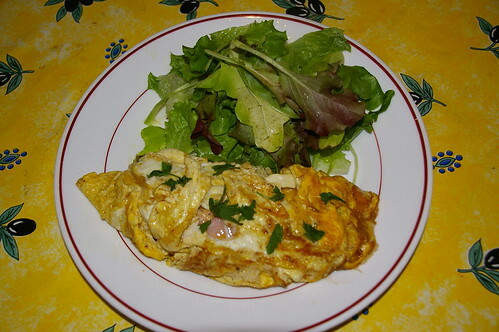 Absolute simplicity tonight, a classic rolled three egg omelette with some ham and grated cheese inside and a small green salad. 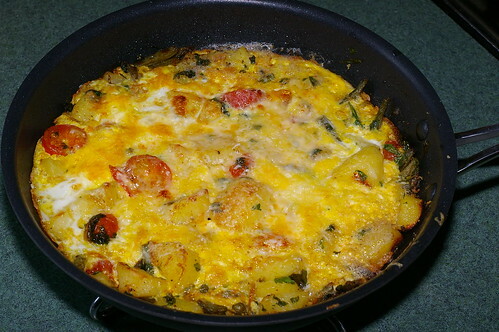 This is such a simple tasty brunch dish or a nice supper too. 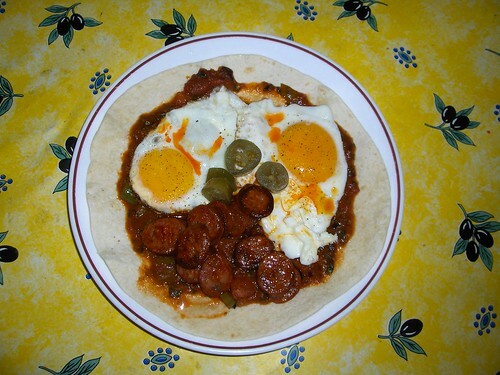 I think that there are lots of versions of this but I like to use a warmed wheat flour tortilla (sometimes a corn one that has been fried in some oil till it crisps up) which I spread with a spicy tomato salsa (it really does need some chilli heat) and I top this off with a couple of fried eggs and slices of fried chorizo. I like to drizzle some of the orangey-red chorizo oil over the eggs and also add a few slices of pickled jalapeño peppers. You can serve some refried beans on the side if you like or you could also leave out the chorizo for a vegetarian version. 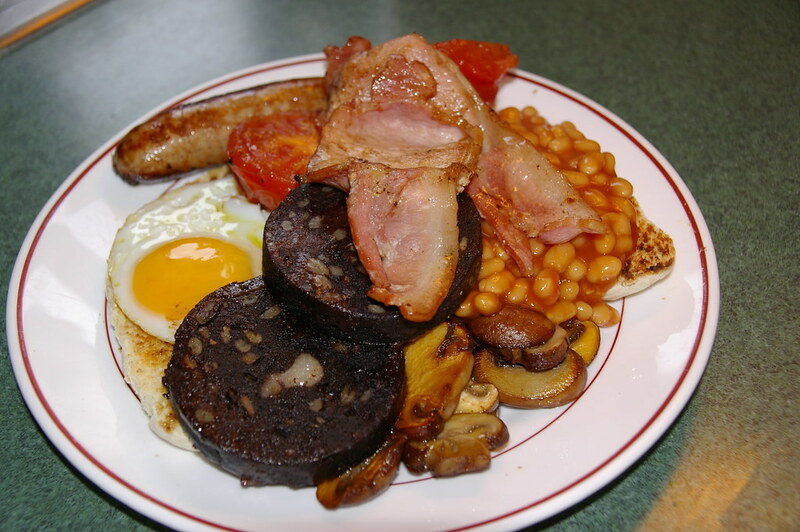 Is there a better breakfast than The Full English?